I am the Pastor of Ascension Lutheran Church in Casselberry, Florida. My ministry at Ascension began in July of 2012 after fifteen years at Mt. Calvary Lutheran Church, an urban congregation in the heart of the city of Milwaukee. Ascension is a “joyful community of the caring Christ,” seeking opportunities to provide relevant ministry and effective outreach to the northeastern communities of the Orlando area. 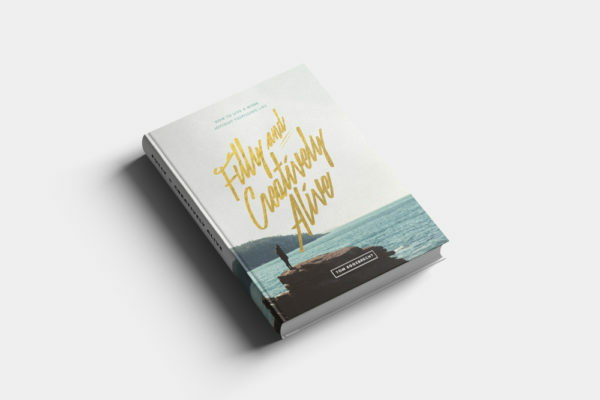 I am also an active writer, having just published the book, Fully and Creatively Alive, available on Amazon now. I enjoy speaking and teaching on various topics like creativity, leadership, and other inspirational topics. This is my blog about creativity, art, culture, inspiration, and entrepreneurship. I would love for you to join my blogging journey as I observe and learn about all of these things, as well as grow in my knowledge and understanding of them. Your input is always encouraged and most welcome. I usually post three times a week. If you don’t want to miss any posts you can subscribe by email or RSS feed. I accept a limited amount of advertising. I have been a pastor for twenty-four years, and am enjoying ministry in central Florida, where Disney is just down the street and the beach is a short jaunt away. I was Senior Pastor of Mt. Calvary Lutheran Church in Milwaukee, Wisconsin for fifteen years. I have also served congregations in North Carolina and Northern Virginia. In terms of ministry, I aspire to be a servant leader bringing forth a creative renaissance in the church…especially the urban church, or churches in large cities. I have recently had the privilege of writing and planning worship for the 2013 National Youth Gathering of the Lutheran Church — Missouri Synod in San Antonio, Texas, and for the 2013 fall teachers’ conference of the Florida-Georgia District of the Lutheran Church — Missouri Synod in Daytona Beach, Florida. Three worship and sermon series’ that I have written have been published by Creative Communications for the Parish. As adjunct Professor of Theology at Concordia University — Wisconsin for thirteen years, I taught classes on the Old Testament, the books of Genesis and Psalms, various classes on Lutheran Theology, The Bible, and The Life of Christ. One of the highlights of each year was teaching a three-week class on Comparative Religions. It was my pleasure to serve as an adjunct professor from 1999 through 2011. My involvement in the community has included the opportunity to serve on boards and in leadership roles of various organizations including The Lutheran High School Association of Greater Milwaukee, Acacia Theatre Company, Adult Day Services of Lutheran Living Services, Common Ground (a community organizing group bringing real and positive change to the city of Milwaukee), and as Circuit Counselor for the west side Milwaukee churches of the Lutheran Church — Missouri Synod. I love my wife, Tammy, and enjoy time together with her dining out, biking, or going to Disney for a day or an evening. Our daughter, Ashlyn, is a graduate of Nebraska Wesleyan University in Lincoln, NE, with a B.F.A. in Theatre Arts, works for Sea World, Orlando, and is married to Josh Swenson. Our son, Benjamin, is a singer-songwriter and a graduate of Belmont University in Nashville, TN, with a B.A. in Entertainment Industry Studies. He recently got engaged to Emily Howard, and they will be married in October of 2016. Ben is currently recording music as “My Red and Blue,” that you can find on Apple Music or Spotify. I enjoy travel, writing, music, biking, going to U2 concerts, reading, golfing, traveling, the Milwaukee Brewers, and the (World Champion) Green Bay Packers. You can contact me by email (eggebrecht@aol.com), or on Facebook or Twitter. I am presently the congregational chairman at Redeemer Lutheran Church (LCMS) in Mountain Home, Arkansas. My family has been members of this Congregation for over 50 years. Mountain Home is in an area where retirees love to settle and as a result our congregtion is primarily made up of older and wonderful people.